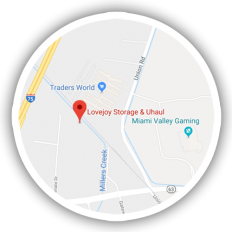 At LoveJoy Storage our indoor storage facility provides a secure environment to safely store and protect your valuables. Do you need more storage space at home or for your business? What about an extra garage? Then our fully enclosed outdoor storage units are perfect for you. Whether you are a business looking for a way to expand your storage space or a family with too many vehicles, tools, furniture, etc. we have the solution for you! Our outdoor storage units offer many options to fit your needs. 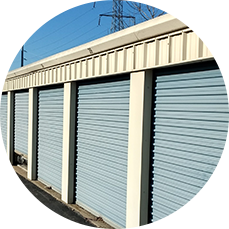 These storage rental units are single story construction with no fatiguing stairs to climb combined with extra wide streets for easy access. This gives you the convenience of driving your vehicle right up to your unit allowing for easy loading and unloading of your valuables. In addition, we have 10 different sizes available to ensure you get just what you are looking for.